Today, multiple sources have revealed images and the first details of the new Assassins Creed title; suggesting a pirate-based theme to follow on from the ship mechanics of Assassins Creed 3. 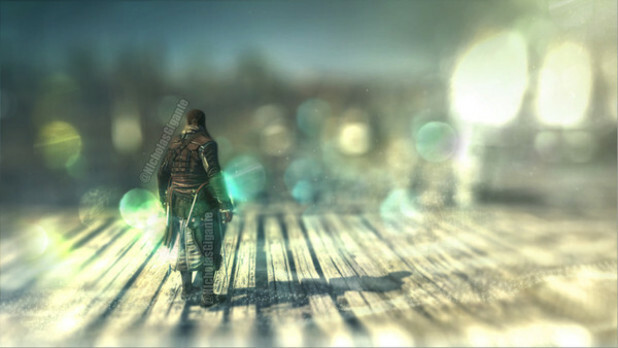 It has been suggested that the main character will be Edward Kenway: a privateer, assassin, pirate and father of Haytham Kenway from Assassins Creed 3. Little detail has been revealed; however, we do know that Assassin's Creed 4: Black Flag will reportedly launch on both current and next generation consoles this year, including the recently announced PlayStation 4. What's the staging ground you wonder? It's thought with the pirate-based theme that Assassin's Creed 4: Black Flag will take place in the tropical paradise of the Caribbean. 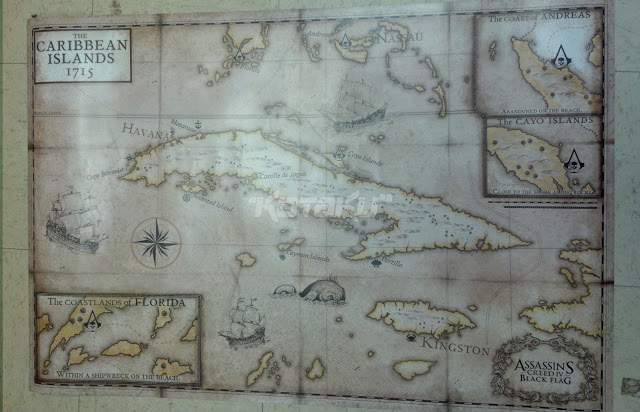 A map was leaked, clearly showing the well known islands of Cuba and Jamacia. More information is set to be released soon, with a Ubisoft spokesman saying: "We confirm that Ubisoft will announce all the details of Assassin's Creed IV Black Flag on Monday March 4th at 5pm GMT." I shall try my best to keep you updated when news is released on March 4th. So there you have it, Assassins Creed 4. What would you like to see in the upcoming title?